Today's was a lovely amble in near perfect walking conditions. 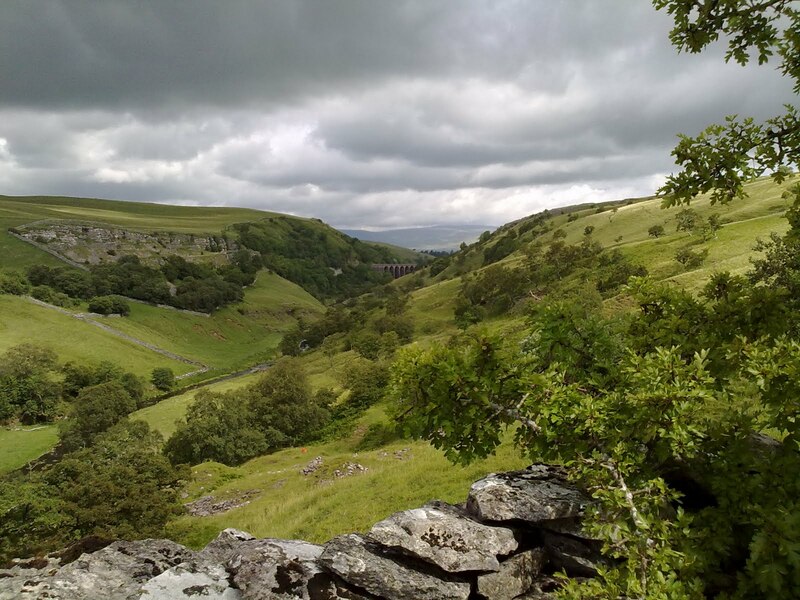 Along quiet country roads, following well-beaten tracks over lush meadows where sheep and cattle graze, across open moor and grassland where horses roam, encountering few human passers-by along the twelve to thirteen mile route. I love the limestone country with its weathered craggy outcrops and sun-bleached dry stone walls. There was no sight of any other Coast to Coaster en route but I bumped into the young German Coast to Coasters, Markus & Andrea, in Kirby Stephen and we had a beer together. All's well in my world. 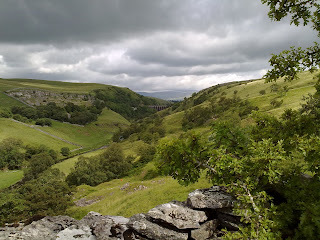 Image: Smardale Viaduct - from Smardale Fell.